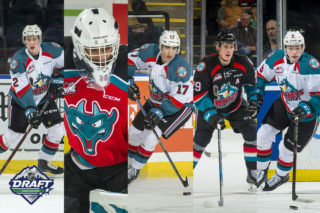 Kelowna Rockets fans were treated to a look at the future over the last three games with young Trevor Wong in the lineup. Wong turned heads last season with a 141 point (64G, 77A) campaign with St. George’s School Btm Varsity (CSSBVHL). He added another 5 goals and 18 assists for 23 points in five postseason games. The 15-year-old was drafted 18th overall by the Rockets at the 2018 Western Hockey League Bantam Draft. Wong signed a standard WHL Player Agreement on October 27th and made his WHL debut later that night against Prince George. This year Wong has made the jump to playing with the Greater Vancouver Canadians (BCMML) where he has 31 points (10G, 21A) in 28 games played. 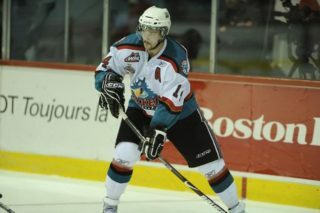 The 5’8, 154 pound forward was called up once again by the Rockets last week. He was able to get a better taste of the WHL playing in three games and heading out on the road with the team. He was given ample amount of time including top line minutes and power play time. Head Coach, Adam Foote said following Wednesday nights game against Seattle that the young forward didn’t look out of place. 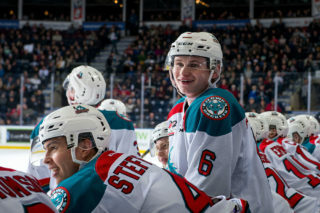 He was introduced to the rivalry with the Kamloops Blazers Saturday night, where fellow first-round pick and friend, Logan Stankoven suited up for the Blazers. With the game deadlocked at zeros in the third period, Kaedan Korczak sped up the right wing and fired a shot on Blazers goaltender Dylan Ferguson. The puck bounced off of Ferguson’s pad and right onto Wong’s stick, he put the Rockets up 1-0 with his first WHL goal. The Rockets went on to win the game 2-1 in overtime, and Wong was named the first star of the game. He’s is eligible to play one more game with the Rockets; once his midget team is finished their season, the Rockets can recall him to play more games. 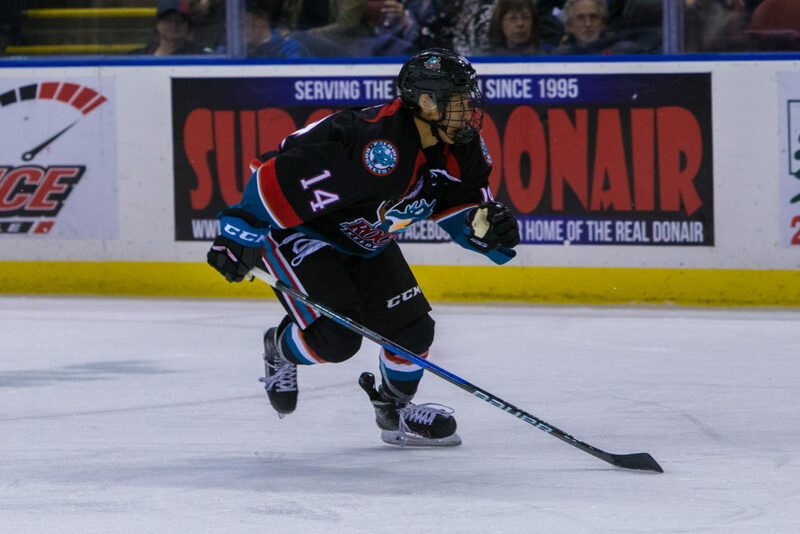 That final game won’t be used up yet as the Rockets returned Wong to the Greater Vancouver Canadians, where he hopes to help his team make a playoff push. 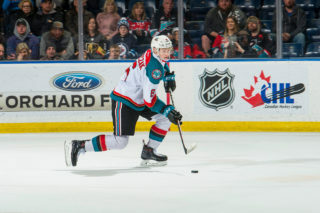 He’ll also suit up for Team BC at the 2019 Canada Winter Games later this month alongside fellow Rockets prospects Elias Carmichael and Steel Quiring. 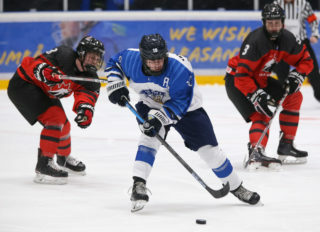 Wong and Team BC will begin their quest for gold at the 2019 Canada Winter Games on Feb. 16, 2019 against Team Manitoba.